The singer Rihanna will present the new collection created in collaboration with the brand Puma in 2016 at Fashion Week in New York. Robyn Rihanna Fenty, better known as Rihanna, the famous singer and model Barbadian, has become the ambassador of the sports brand Puma. The pop star with his relentless spirit, his creative energy and talent both on and off the stage perfectly embodies everything the brand stands for. The result of this collaboration is a new collection of shoes that will be presented Feb. 12, 2016, date still not official but assumed, the Fashion Week in New York. Not only. At the event the Clara Lionel Foundation organized a charity auction, giving away VIP tickets with access to the show, the after party, complete with a flight and hotel accommodations included and shoes in all colors of the collection proposed by brand. The line of sneakers PUMA BY RIHANNA is the first of the world star of pop music and R & B, Creative Director and Brand Ambassador of SportsBrand. It was designed by the singer with the intent to recall the atmosphere, the music and the fashion of punk mixing the sporting tradition of the brand. 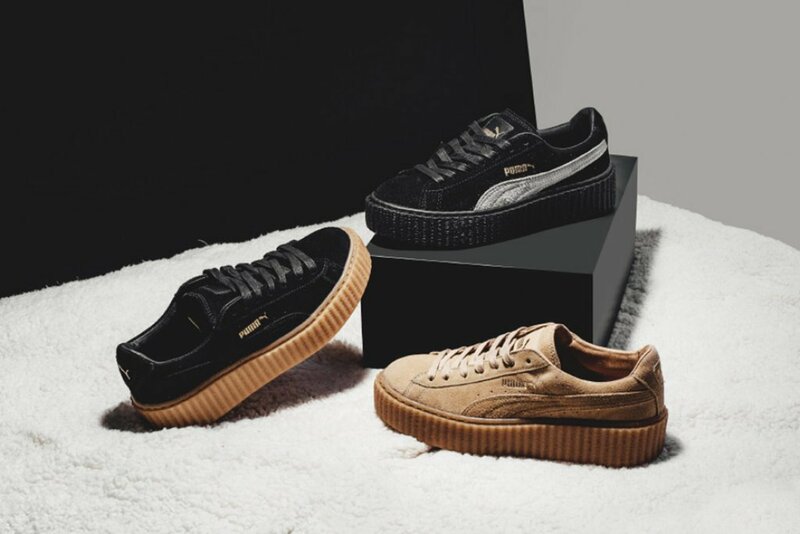 The model collaboration between Rihanna and Puma, or the Creeper is characterized by an unprecedented platform sole or ‘creeper’ combined the classic suede upper, available in different colors like pink, white, blue and many more choices in collaboration with the designer of Los Angeles Mr. Completely. It is a shoe pretty simple, but very fashion. It could be called a classic model of the brand but signed by one of the most important and cool pop star of the moment. Next post: Wear sandals in the winter? Now you can!